Online slots games often fill the casinos because they are extremely popular with players. 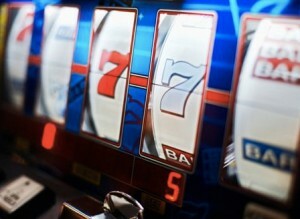 One of the reasons that online slots games are so popular with players is that they are so simple to play. Despite the fact that there are thousands of different online slots game variations, they can all be played in a similar fashion. You only need to learn to play one variation. Once you’ve done that, you can apply the same principles to each of the other games. Below is the basic information every slots player needs to know in order to have the best playing experience possible. Before you invest any money in online slots games you should familiarize yourself with the game first. Take a good look at the pay table. Pay tables will indicate if there are any special betting requirements for the bonus games, jackpots, and prizes. Find a machine that best suits your particular budget. Aim for getting in at least thirty spins. If your budget is tight, a slot machine with big denominations is probably not your best bet. After you’ve picked a game to play, you’ll need to purchase some credits. For online slots games, this means making a deposit at the online casino, which will give you a corresponding amount of money to use for wagering. Bet One – Pressing this button uses one credit. You can press it multiple times to increase your wager. Bet Max – This button allows you to wager the maximum number of coins for a single spin. Spin Button – Press this button to repeat your most recent wager amount. Once you’ve picked the amount of your wager you simply need to spin the reels of your chosen online slot games. You can repeat your bets by clicking the “Spin” or “Max Bet” buttons. If you are lucky enough to win, you can click on the cashier button. This will take you to the casino’s banking section. Here you can place a withdrawal request for some or all of your winnings. Although they’re not always available on all online slots games, below are some additional buttons that you might come across and what they mean. Help – Help buttons gives players access to basic information about the slots game. It usually includes things like game rules, bonus rounds, and any other important details related to that particular game. Start Feature – Some bonus feature slots have a “Start Feature” button. You may be required to press this button after hitting the necessary symbols for the bonus round. Clicking on this button will start your free spins. Gamble – Australian-style video slots and some other games give you the option to gamble your winnings. Click this button to advance to the gamble screen where you can take a shot at doubling your current win. Live Chat – Some online slots games will have a “Live Chat” button you can click on to start an online chat session with a Customer Support Agent. You can ask them any questions you might have and get a response in real-time. Online slots games can provide countless hours of entertainment and potentially huge winnings. That being said, keep in mind that the payout percentages are low in comparison to other games. Budget yourself and wager accordingly to extract maximum entertainment value.